I know, random blog post title and to be honest with you random topic! A few weeks ago on Twitter Hobbycraft reached out to see if anyone would like to try one of their yogurt maker kits. Personally I think yogurt is perfect for summer so I jumped at the chance. Always up for a challenge and all that! 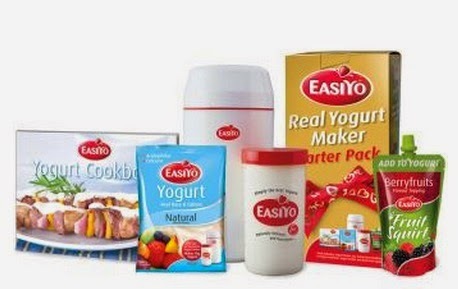 They sent me the Easiyo Starter Kit and I love it! The kit itself came in a couple of days and I was really impressed. I haven't ever done anything like this before so I had to no idea what to expect. It came in a large, bright box and had everything I needed to get started. I don't want to include too many photos simply because I don't want to spoil the suprise. For me, opening the box, seeing what was inside and getting stuck in was half the fun! However what you consider that the pack contains.... you can see that there is a lot of fun to be had! Once I made the yogurt I wanted to experiment with how to eat it. I did some with a bit of extra sweetener in and it was lovely and sweet (obviously). Eaten with jelly and fruit was also delicious. 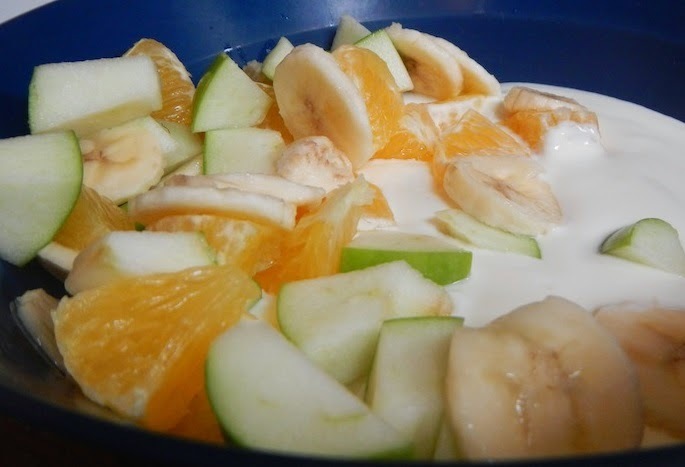 The yogurt came out quite thick which is perfect for me, but I can imagine that you could do something different to make it runnier if you wanted. I actually had no idea that you could even make your own yogurt at home so it was a real eye opener for me - a fun one though! The cookbook that is included in the kit has 64pages of recipes - who knew yogurt could be so inventive? There are dessert recipes of course but also meal ideas such as yogurt crumb chicken barbecue steak with plum sauce, which sound delicious and are next on my list to try! Have you ever tried making something like this? How did it turn out?